Culture & Cocktails in Maitland! 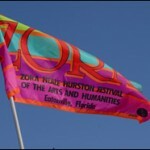 This wonderful event is just a short stroll or drive away from our Central Florida bed & breakfast. One room is still open for the weekend so book now! The start of a new year always brings some interesting events to Central Florida. Our Maitland bed & breakfast is a great place to stay while taking in all there is to do and see. Have you ever seen a manatee? Guests already have enjoyed seeing record numbers at this Florida State Park – Blue Springs. It is a designated manatee refuge and winter home to increasing numbers of West Indian manatees. The yearly manatee festival is January 22 & 23rd. Orange City, where the park is located, is a short 30 minute drive north of Thurston House. For something completely different, Culture & Cocktails is a new monthly event at the Maitland Art Center. The first one will be held January 14th from 6-9pm. The event will have featured artists, musicians and even some food & drink! The center is a nice stroll or a short drive from Thurston House. 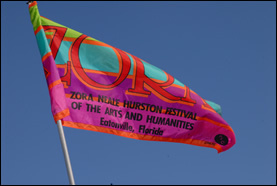 Just down the street from our Central Florida bed & breakfast is the yearly festival to honor Zora Neale Hurston. The street party will take place 1/29 &30, and is free and open to the public. Come enjoy ethnic food, art and music! Keep tuned for information on more wonderful events near Thurston House!